Most people don’t think of Arizona when they think of wine, they think of Napa, Mendocino County, Sonoma and several other places around the world. 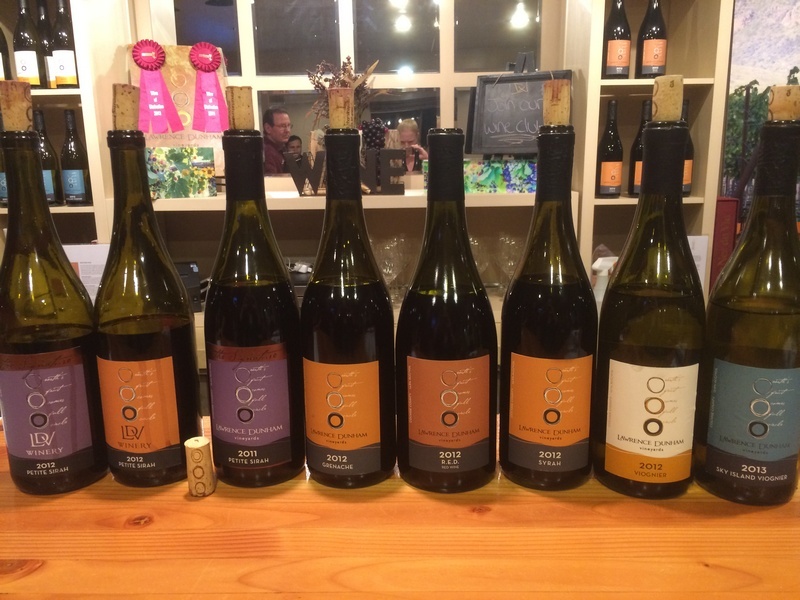 We Arizonans know better however; some of the wines put out by Arizona vineyards are among the best you will ever taste. Unbeknownst to us, Scottsdale was hiding one of these gems and we finally discovered it (albeit a bit late)! Past the Old Town Scottsdale bars and just past the Art Gallery District is the LDV Winery. We came for our tasting on a rainy Wednesday night which meant less of a crowd than usual and fortunately for us we had winemaker Curt Dunham all to ourselves. We were greeted by Epernay, the winery guard dog. Don’t be fooled though, this little pup named after Epernay, France where Dom Perignon and Moet Chandon Champagne are made will steal your heart before you even get one drop of wine. 100% estate grown Viognier, is minimally processed and is produced in stainless steel to preserve the acidity, intense aromatics, and fruit flavors of the Viognier grape provides. This wine was made to emulate the characteristics of food friendly and zesty Sauvignon Blancs and dry Rieslings. As with all of LDV Winery’s Sky Island offerings, there is no oak influence. This wine was neither fined nor filtered. 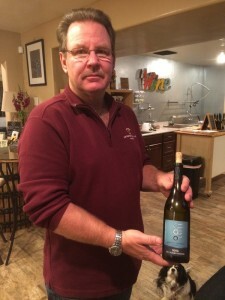 Curt suggested this wine be served as an aperitif or paired with light cheeses, grilled fruits and vegetables, seafood, poultry or spicy Asian cuisine. 2012 Viognier- This was the 2nd wine we tried and despite being from the same block of grapes as the first, it was completely different! The 2012 Viognier is 100% from LDV Winery estate-grown fruit and is barrel fermented and aged for 16 months in a combination of neutral Hungarian oak and custom made new French/American hybrid oak barrels. The wine underwent malolactic fermentation to bring out the tropical characteristics of the Viognier grape. Curt’s suggest pairings are: lobster, grilled chicken, macaroni and cheese, or just a few good friends.This was Sarah’s favorite wine of the evening. 2011 “Signature” Petite Sirah- This was Matthew’s favorite wine of the evening. LDV is not kidding when they call Petite Sirah’s the signature grape of their estate and of the Chiricahua Mountains. All of their Petite Siahs were incredible, including their 2 new ones! Curt discussed how the terroir brings out the most striking features of the grape. This wine features 100% Petite Sirah, 55% aged in new American oak barrels for 28 months. According to Curt this ultra, full-bodied wine with smoky, spicy, dark fruit flavors pairs well with grilled rib eye steaks, braised short ribs, roasted beef tenderloin, and chocolate. You Rock! Thanks for the love. Curt & Peggy are incredible people and their wines are spectacular! The LDV Wine Gallery is a great spot to relax and enjoy a glass of Arizona’s best.